Contemporary square metal knob by Richelieu on a square post. It's perfect for furniture and cabinets with clean and simple lines. 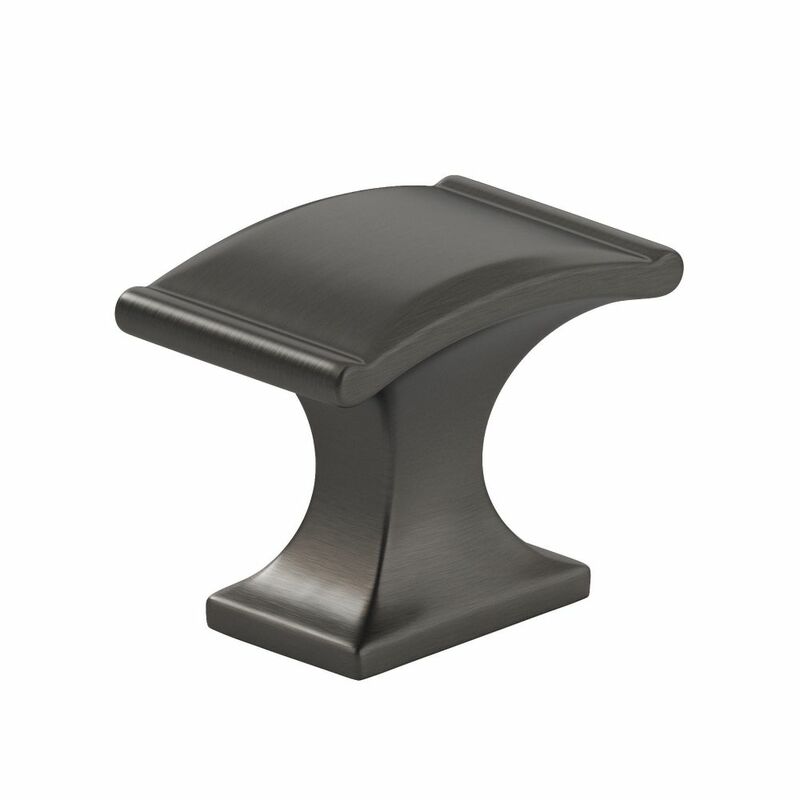 The head of this square knob has a smooth, slightly convex crown and this knob will complement any type of dicor. With its detailed embellishment and classic style, this Richelieu oval knob will make a strong statement in your traditional theme. Transitional square knob by Richelieu. Discreet edge and corner details lend a touch of elegance to your kitchen and bathroom furniture and cabinets. Traditional Metal Knob Antique Nickel - Teramo Collection This traditional rectangular knob is the perfect complement to any dicor. Its sleek appearance and refined edges will set off cabinets and furniture with similarly clean lines. Traditional Metal Knob Antique Nickel - Teramo Collection is rated 5.0 out of 5 by 1. Rated 5 out of 5 by Mack from Nice looking These knobs are just the right colour and weight. The brushed nickel was nice but too silvery....this antique colour has enough charcoal in it to accent my new slate appliances. I bought the knobs and put them on length wise and also the pulls. Nice updates to my cupboards.